I don't know what to do with my life anymore. 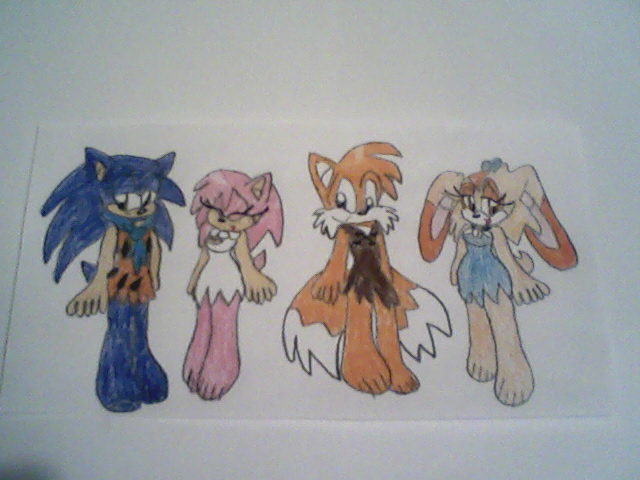 Sonic as Fred Flintstone, Amy as Wilma Flintstone, older Tails as Barney Rubble and older Cream as Betty Rubble. yabba .. dabba .. doo . Jane stop this crazy thing ! XP Cute and cool ref. COME ON AMY OPEN THIS DOOR! AMY!